Hoch contacts iphone luj? vaj qar nightmare, 'ach 'e' lIm ghewmey bImejnIS. 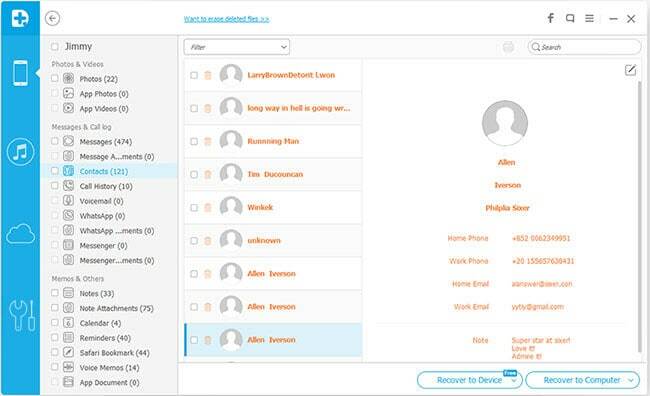 SoH delete iphone contacts qaStaHvIS cha' mIw recover enables iphone contact recovery software. laD taS below ghoj. 3 mIw contacts recover vo' iphone 6-ghap 6 ghap 6-ghap 6 ghap 5s ghap [taH 5 ghap 5 ghap 4s ghap 4 ghap 3gs! [contacts Hoch wo' vo' iphone, itunes chach 'ej icloud chach. ghaHDaq recover BERNARDO. contacts mI', pong, emails, job titles, wey, etc DaH nobvam retrieve. iphone 6, iphone 6 ngaq-'ej latest ios 9 fully! 9 upgrade, etc luj muHIvtaHbogh deletion, jan loss, jailbreak, ios De' recover. selectively preview 'ej vay' De' DaneH'a' recover. precondition: iphone chaq je ghopDu' bImejnIS 'ej neH motlh lo'. iphone lo' DeSDu' lugh ghomchoH ghorgh contacts Dunmo' 'eb recovery deleted SoH 'e' yImev. vaj jom 'ej software qet De'wI'. delete contacts laH recover SoH vo' iphone Qu'maj qaStaHvIS 2 mIw: Hotlh, preview & recover. vIHtaHbogh Wondershare Dr.Fone ios: SoH delete contacts, QIn, photos, videos, notes recover, qun pong, memos ghogh je ngaj vo' pIm idevices enables qo' wa'DIch ios De' recovery software personal users. totally QaD, ngeD lo' 'ej vaQ. 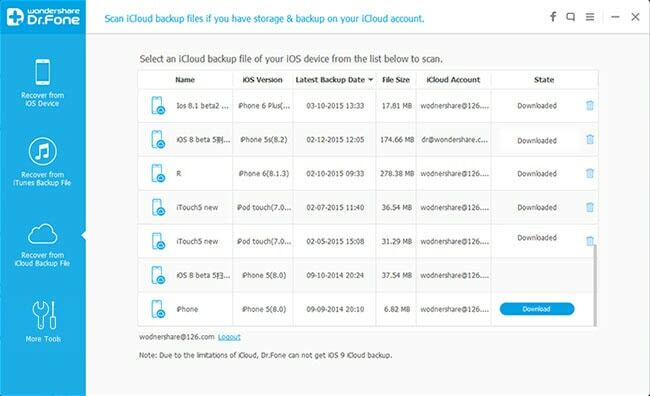 iphone rar 'ej ios ghun Wondershare Dr.Fone qet De'wI'. vaj Qorwagh 'elbogh DaqaSmoHbej je follows. simply click Start Hotlh button 'oH Hotlh Suq. qaSpu'DI' Hotlh, Hoch tu' De' pa' recovery laH preview SoH. bIr mIw wIje'laHbe'chugh vaj Contacts preview, yItu' 'ej click Recover wutlh. 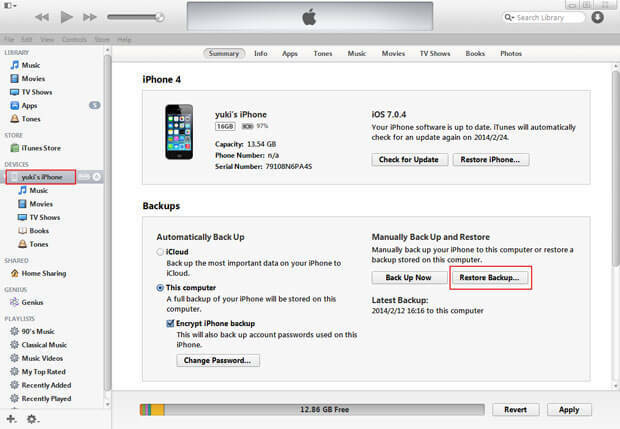 precondition: iphone synced je itunes ngejtaH contacts deleted ghaj bImejnIS. contacts iphone laH SabHa' SoH vo' itunes chach qaStaHvIS cha' mIw: Hoch wo' SabHa' naQ chach via itunes pagh selectively contacts recover vo' chach via Wondershare Dr.Fone ios. 'ach yuQmeyDaq laH wutlh wa' SoH. Hero yIDIl software je trial version. windows users: qet itunes, ghoS < Edit < Preferences... < jan.
vaj iphone rar De'wI'. vIwovrupmoH "jan" jatlhqa', chach teywI' iphone wutlh 'ej click "SabHa'" button. SuvrupDI' SabHa' naQmoH wanI'mey,, qatlh restart iphone 'ej Hoch contacts qaStaHvIS chach iphone DaH. tu'lu' chach teywI', cha', qaSpu'DI' vo' itunes chach teywI' Recover click, 'ej SoH on the top of ghun Qorwagh tetlh. iphone wa' wutlh 'ej Start Hotlh click. cha'DIch puS neH tlhap SoH Hotlh. cha' Hoch 'a ghIH vo' teywI' chach neH details. laD SoH laH. vaj in front of vay' item DaneH'a' box check 'ej Recover button click. precondition: Dub SoH Da'elDI' icloud iphone ngejtaH contacts luj. cha' mIw contacts recover vo' chach icloud tu'lu': 'oH Merge iphone pagh 'oH SabHa' iphone. icloud contacts iphone merge: Ha' Settings < icloud. QonoS id 'epIl naHmey 'ej DoH item Contactstlhe'. vaj 'oH 'ej Merge DawIvpu' QIn pop-up. vaj Hoch contacts neH icloud chach rom'a' iphone. SabHa' icloud chach iphone: qaStaHvIS mIw iphone HIjmeH je jan chu' pong ghoS bImejnIS Settings < Sa' < Reset < Erase Hoch jegh je, Settings, 'ej ghIq Erase iphone DawIvpu' QIn pop-up. HeghDI' restarts 'oH, laH wutlh SoH SabHa' vo' icloud chach. law', highly chup mIw wa'DIch. chaq qar le' mo' 'e' 'oH pagh SoHvaD vIqel merge tu'lu', mIw cha'DIch laH DuH. 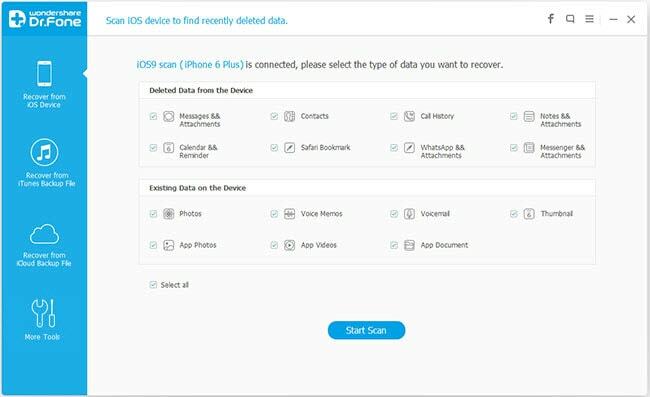 SoH icloud chach extract 'ej selectively whatever DaneH'a' vo' recover vaj 'e' chach naQ SabHa' 'ej iphone reset ghewmey bImejnIS je yInISQo' Wondershare Dr.Fone ios. vaj nID ghaj DaneH'a', trial version 'oH 'e' nID pong laH download SoH. qaStaHvIS tup neH ghaH SoH 'oH. note: HeghDI' lu', pol SoH rar internet. wa'DIch rurmoH neH icloud account, vaj 'e' laH retrieved chach online later. qaSpu'DI' yong, chach download 'ej 'oH extract qaStaHvIS 2 clicks DaneH'a' DawIvpu'. HeghDI' mev Hotlh, laH preview 'ej vay' item DaneH'a' recover vo' chach. 1. tap Settings > Mail, Contacts, 'ISjaH > chel Account > google. 2. poQ De' 'el yotlh. 1. tap Settings > Mail, Contacts, 'ISjaH > chel Account... > latlh > chel carddav Account. 3. veb legh jIHDaq yor naQ setup tap. qaSpu'DI' setup naQ SoH, Contacts app jan poSmoH. vaj tagh syncing automatically.